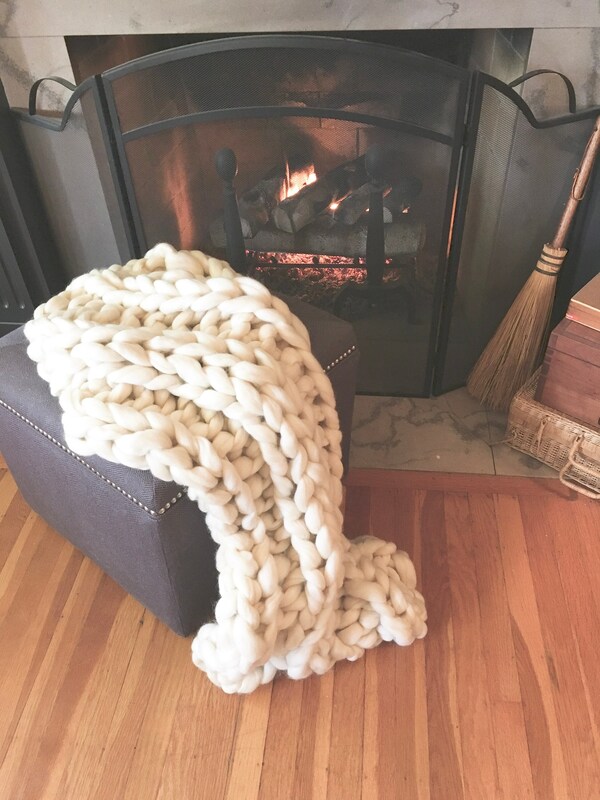 Chunky Blanket, Chunky Throw, Lap blanket,Snuggle Smoosh Blanket! 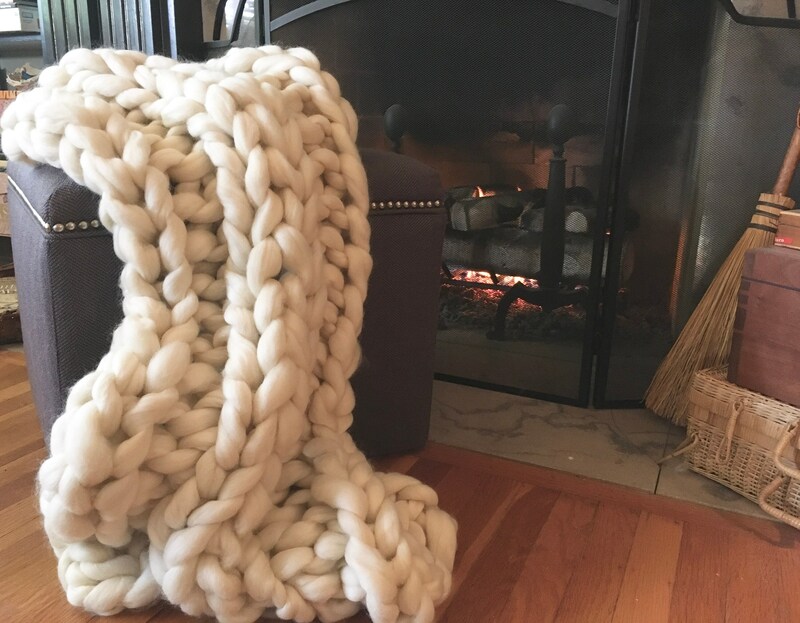 Super chunky blanket personal size. 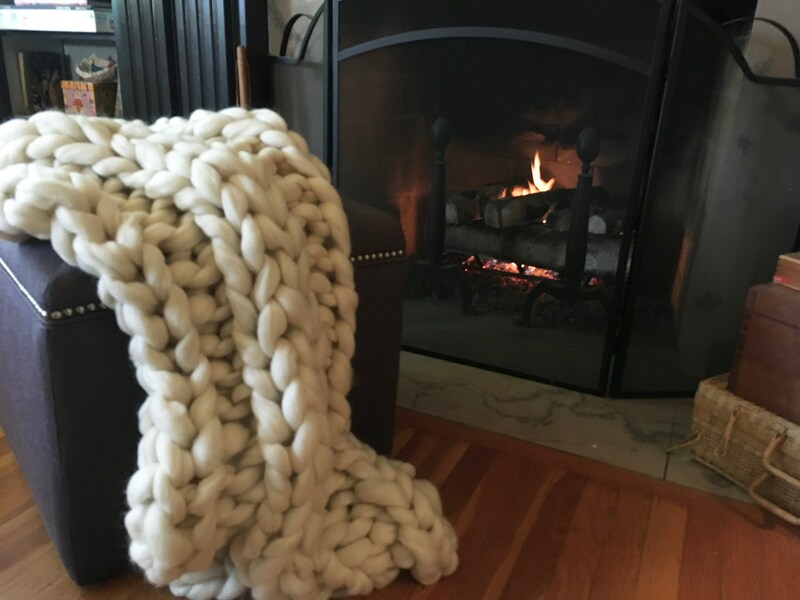 Chunky Knit Blanket in perfect lap or travel size! 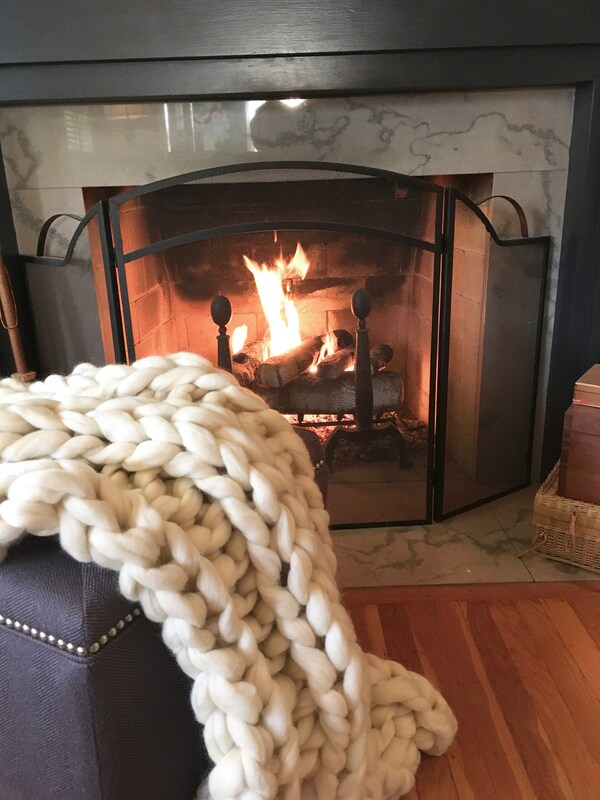 Perfect for cozy nights by the fire with some wine or a good book.....or throw in your suitcase for that ski weekend! 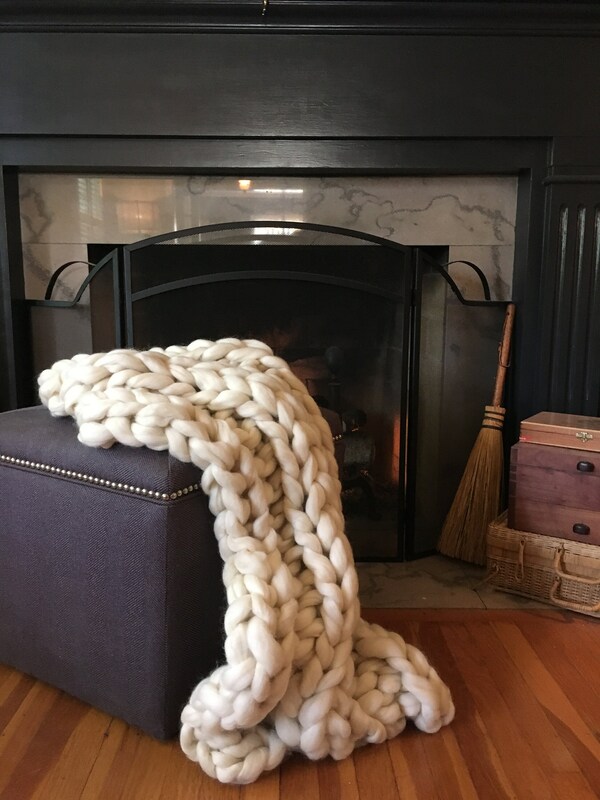 This size is perfect for your lap, travel or baby! 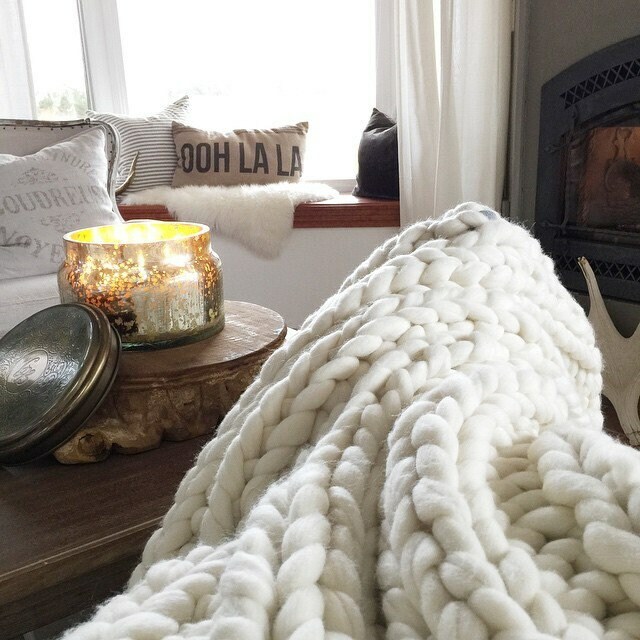 Cute Blanket! 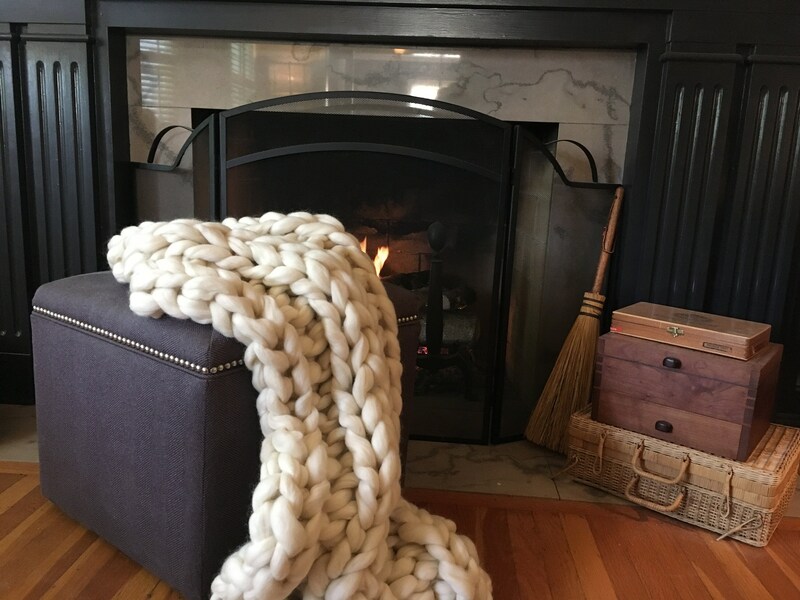 Color is not “bright white” more of a cream color which goes well with our farmhouse style decor. 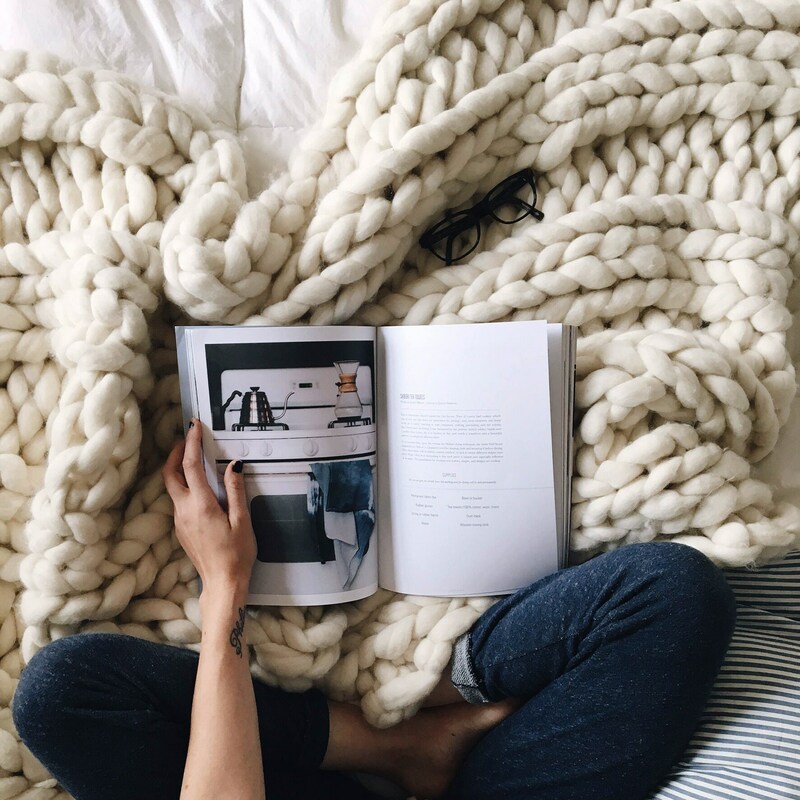 More of a decorative blanket than a functional blanket. Really nice quality overall which is why I gave 5 star!